We have a team of youth and junior riders who regularly compete on the road and track in both age group specific and senior events. 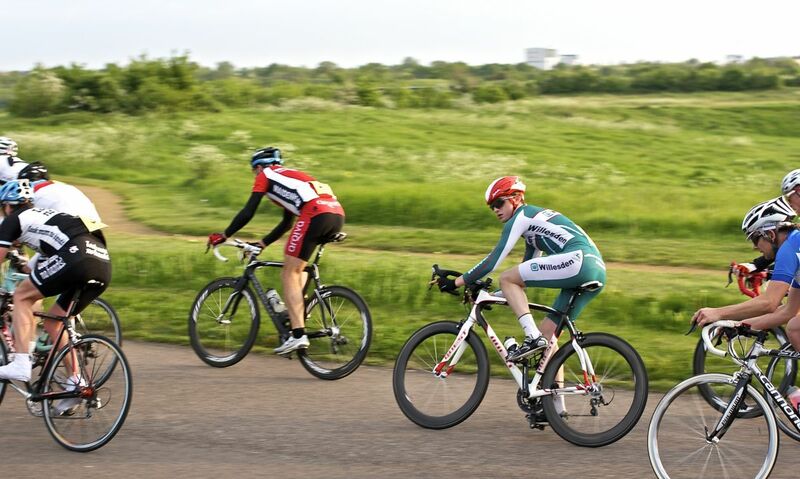 Alex at the Hillingdon summer series. Club colours can regularly be spotted at Hillingdon Cycle Circuit, where in the 2014 season the Junior and Youth squad racked up 26 top 10’s and 11 podium finishes. The Junior team also races on the road at regional and national level events. 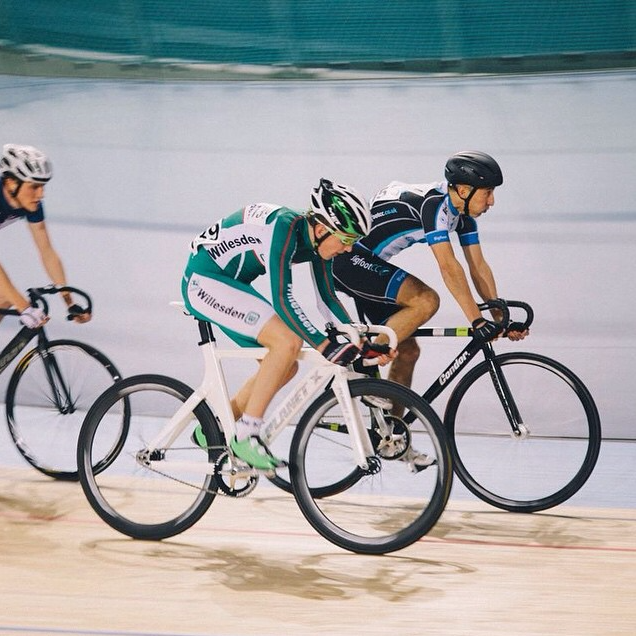 Connor at Lee Valley Velopark track league. The team is also heavily involved in track racing, competing with much success at Lee Valley Velodrome, Reading and Welwyn Track. We have also had several strong results in time trials. In particular Josh Copley rode to joint 3rd in the u14 GHS National 10 mile event in 2014 with a time of 23.20. Team riders attend structured training on Friday nights at Hillingdon cycle circuit, ride from varying locations on a Saturday and attend the Sunday club run. There are also additional coaching days geared towards u18 track development at Welwyn and Lee Valley Velodromes. If you have any questions about the Junior racing team or are interested in joining don’t hesitate to get in touch. My son is interested in joining a cycle club. I would be interested to hear from someone regarding your club. Sandy. Thanks for getting in touch. Ray Kelly runs the sessions and would be the man to talk to about getting involved in the racing. Richard Jerome is the Road Race secretary, he is very knowledgeable about what road racing is available and how to get going. Look forward to seeing you both sometime soon.